Last year I decided to try to grow peas and beans in recycled shopper bags. It didn’t really work. The bags didn’t hold their shape and so the bean and peas couldn’t scramble up the supporting canes properly. My harvest was pretty minute but what I did get was utterly delicious. So with that in mind, I decided to try to do things properly this year. 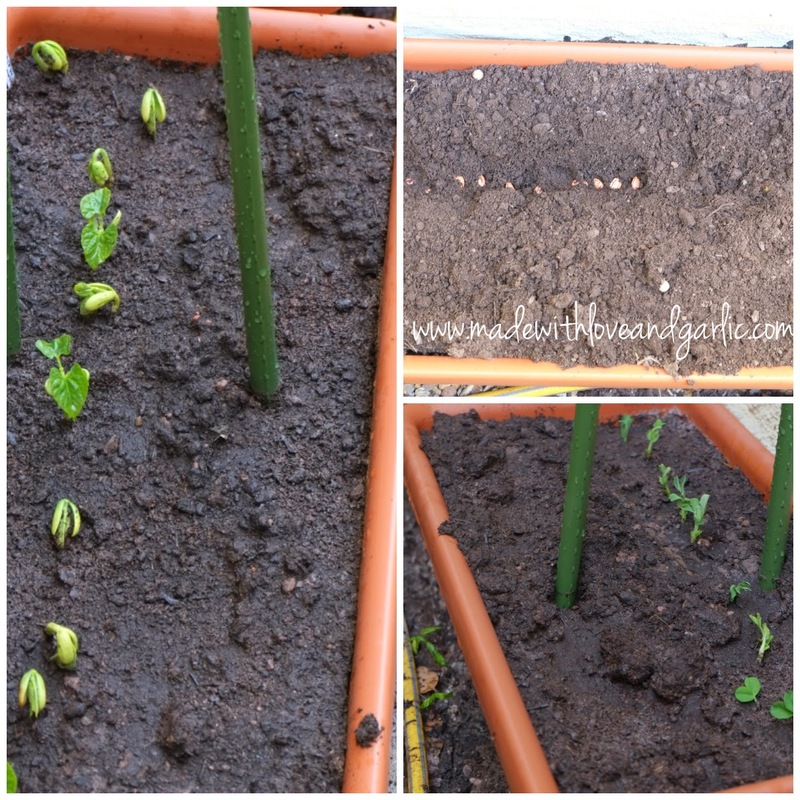 The bags were out, deep vegetable planters with proper bean supports were in. I’ve got six planters and six varieties of pea and bean. 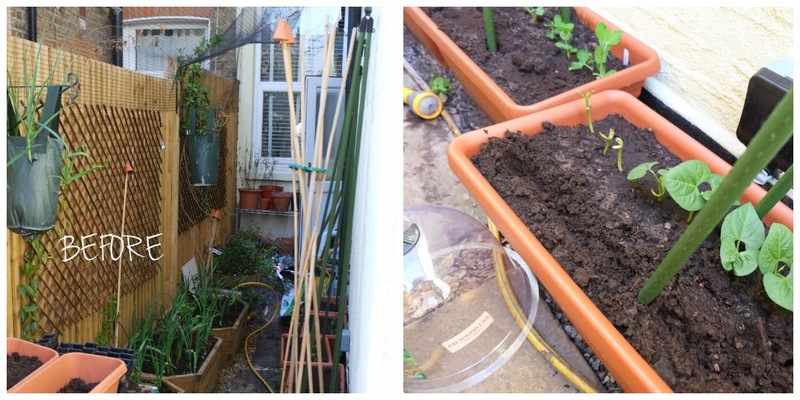 I started some of them (the borlotti beans for example) in root trainers but I sowed the others (mainly snow peas – shiraz and golden) directly into the ground. Or rather, Mr Garlic did (as I can’t get my stupid knee scooter into the stupid side return). And they’re starting to germinate! In fact they’re starting to look really healthy. The horrible slugs have taken a few but not that many. I’ll put some more copper tape around the planters when I can but until then, I will enjoy seeing the stems reach for the skies!